WASHINGTON – African-Americans should focus on protecting their voting rights during the Trump presidency and ensuring that they don’t turn away from political participation because of President Donald Trump’s past racist remarks, according to a number of political experts. Trump appeared at the National Museum of African American History and Culture on Tuesday to state his opposition to racism and anti-Semitism and is meeting with the presidents of a number of Historically Black Colleges and Universities next week. 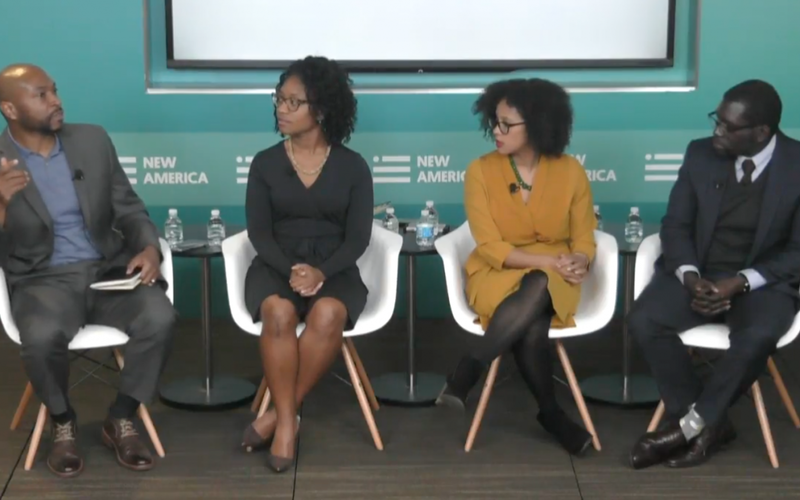 But panelists at New America, a liberal-leaning think tank, said African-Americans didn’t support Trump on Election Day and his recent efforts will matter less than how his polices affect black Americans. In 2008, when the country elected its first black president, 70 percent of African-Americans voted in the election compared with less than 40 percent in last year’s election. Jamelle Bouie, chief political correspondent for Slate magazine, said the reason for the drop is that the 2016 election was the first in which African-Americans “did not have the full protections of the Voting Rights Act.” Bouie was referring to a Supreme Court decision that struck down a key provision of the 1965 law that was passed to stop Southern states from creating barriers to block African American voters from casting ballots. The ruling allowed nine states to change their voting laws without federal approval. Texas immediately passed a voter identification law. Others followed. Grant said blacks need to reach a consensus about what their key issues are. “I think if we are going to continue to work in this two-party system and to the extent of black people are going to continue to be Democrats and work within the Democratic Party, we have to figure out how we come to some consensus of what is absolutely important for us in that kind of space,” she said. While the number of states with voter ID laws is growing, Bouie said that increase could also cause a backlash against a “voters’ repression regime” mentality. He said some Southern states are becoming less overwhelmingly Republican and are gaining Democratic voters. University of Washington Political Science Professor Megan Ming Francis said African Americans have a history of finding ways to influence presidents and Congress through perseverance and protests. She suggested that history might help in efforts to ensure Trump protects black voting rights.